This article concerns a Judge of the United States Court of Appeals for the Fifth Circuit. For Judge Charles Clark who served on the United States Court of Appeals for the Second Circuit from 1939 to 1963, see Charles Edward Clark. Charles Clark (September 12, 1925 – March 6, 2011) was a federal judge of the United States Court of Appeals for the Fifth Circuit from Mississippi. He was, as of 2011, the highest ranking judicial official from Mississippi since L.Q.C. Lamar served on the United States Supreme Court in 1893. Clark was born in Memphis, Tennessee to Charles and Anita Clark and was the great-grandson of Mississippi Governor Charles Clark (1863–65). He entered the U.S. Naval Reserve as an ensign in 1943 and left the Reserve after the end of World War II three years later. He attended law school at Ole Miss, where he was a member of Delta Psi fraternity and met his future wife, Emily. He started the practice of law in 1946 in Jackson, Mississippi. He continued in private practice for five years, picking up an LL.B. from the University of Mississippi in 1948, then rejoined the Naval Reserve as a Lieutenant as the Korean War heated up in 1951. He left the Naval Reserve the following year, and resumed his law practice in 1953. On October 7, 1969, President Richard M. Nixon nominated Clark to a seat on the Fifth Circuit. He was confirmed by the United States Senate only eight days later on October 15, 1969 and received his commission two days later. Clark was Chief Judge of the Fifth Circuit from 1981 until his retirement from the court on January 15, 1992. He resided in Jackson, Mississippi with his wife Emily until his death on March 6, 2011. 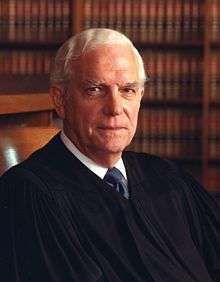 In addition to producing more than 2200 opinions, and presiding over the Fifth Circuit for more than ten years, Judge Clark was appointed by Chief Justice Warren Burger and again by Chief Justice William Rehnquist to the Judicial Conference of the United States, the principal policymaking body for the federal courts. During his eleven years there, he served as chairman of the Budget Committee and then chairman of the Executive Committee. He and his wife Emily Russell Clark have six children: Charles, Emily, John, James, Catherine, and Peter; and thirteen grandchildren; and four great grandchildren. He was awarded an honorary Doctorate of Laws from Mississippi College and was inducted into the Hall of Fame at the Law School of Ole Miss in the spring of 2009. Charles Clark at the Biographical Directory of Federal Judges, a public domain publication of the Federal Judicial Center.